I received samples of some of these items. No other compensation was received. All opinions are my own, and all photos are copyright of their respective owners. As one of the relatively rare Floridians who was actually born in Florida, I can truly save that I love living in Florida. I love the (mostly) flat land and the beaches. I love the blasting heat and the sauna-like humidity. And I love the great variety of foods we have here in the Sunshine State. With that in mind, I set out to find some of the hidden gourmet gems of Florida. 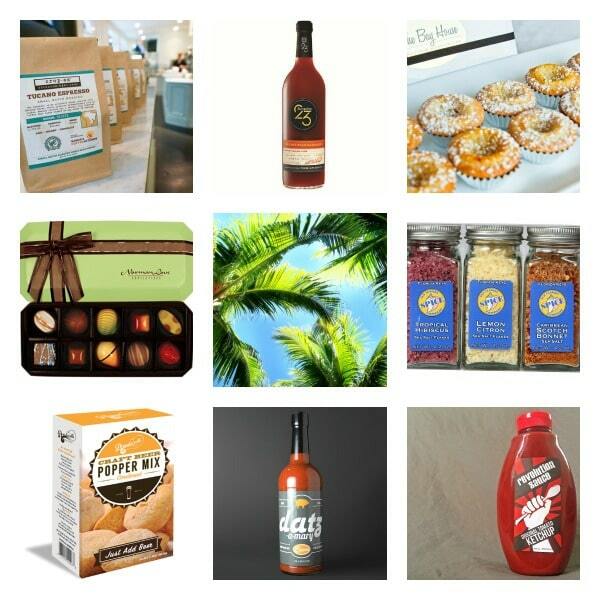 These Florida-based companies produce wonderful stuff that you’d be proud to give as a gift. I hope you enjoy them as much as I did! This is where I ran out of superlatives before I even got started. I am extremely picky about chocolates- much to the frustration of my husband on Valentine’s Day, I’m sure! 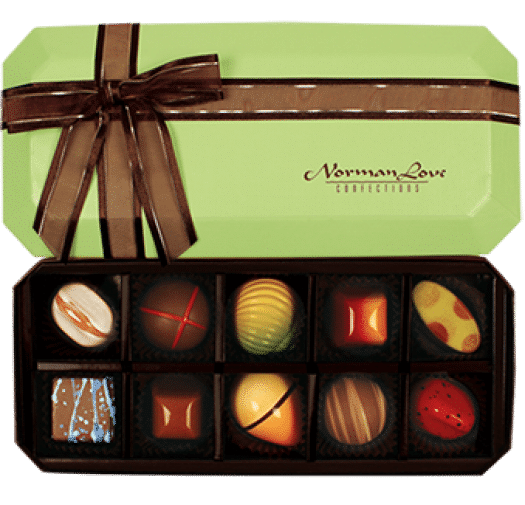 But Normand Love Confections took chocolate to such a high level of quality that I was literally speechless. Each chocolate was a tiny work of art, burnished with colors and patterns such as you would see in fine art glass. Each bite sang with freshness and flavor. These are taking a permanent place on my wish list. 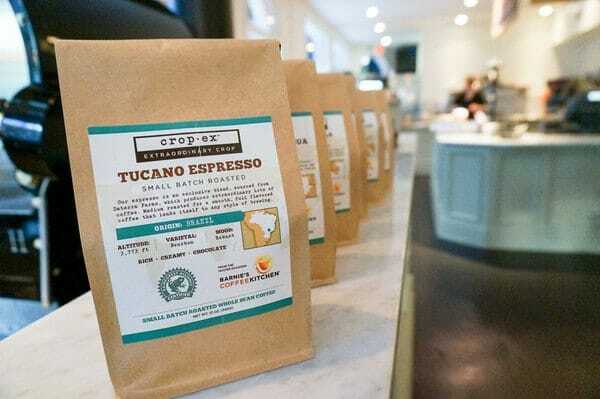 Crop•Ex products are all meticulously sourced, single origin coffees and many are Rainforest Alliance CertifiedTM, Fair Trade CertifiedTM or Direct Trade. These coffees are small batch roasted, packed by hand in unique kraft paper bags and heat sealed for maximum freshness. 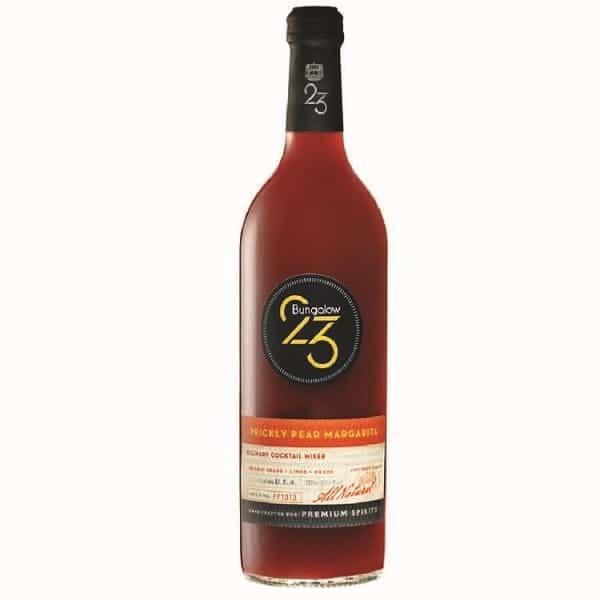 On their website, you can read the story of each variety and its particular tasting notes. Any of these would be an excellent gift for a coffee lover. These hand crafter mixers by Bungalow 23 are made with “fresh fruit purees, real fruit juices, and homemade extracts made from fresh cut herbs.” And you can taste all that natural freshness! Unlike many mixers that lack in taste and body, these mixers are so bursting with flavor you could sip them straight. Surprise your favorite mixologist with a set of these, then sit back and enjoy! 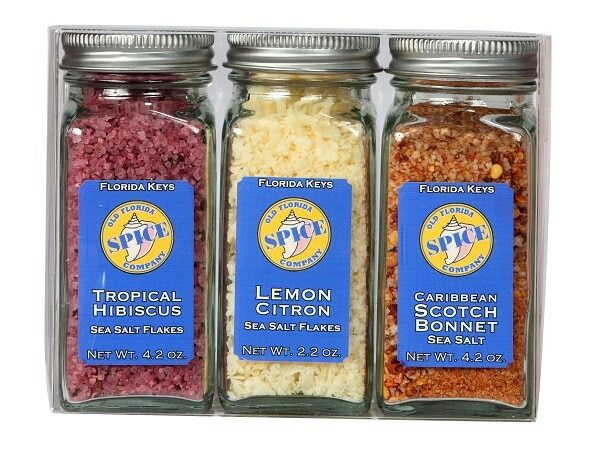 A new product line from The Spice Lab, these gourmet salts and spices bear the Old Florida Spice Company label, making them the perfect souvenir from Florida. From Hibiscus Salt, to Ghost Pepper Salt, to Mango Seasoning, the Old Florida Spice Company has you covered. I love using their finishing salts on everything from grilled corn to chocolate chip cookies. You can find Old Florida Spice Company products in Florida grocery stores and gift shops, and also under The Spice Lab label online. 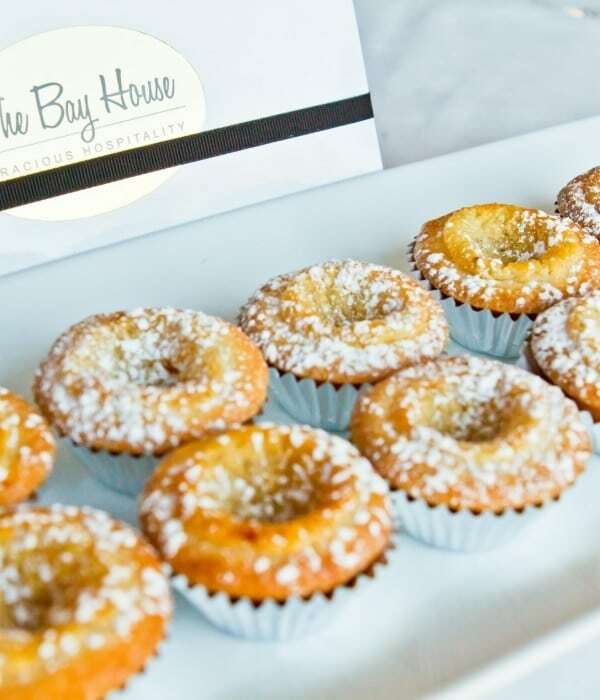 Inspired by a gooey buttercake his mother made when he was young, Chef Andy’s Brown Butter Bites are like a cross between a cookie and a cake with a lemon and cream cheese filling. These sweet bites were delivered in an elegant gold box bound with a black grosgrain ribbon. This gift is sure to please the dessert connoisseur in your life! How do you make a Bloody Mary better? With bacon, of course! 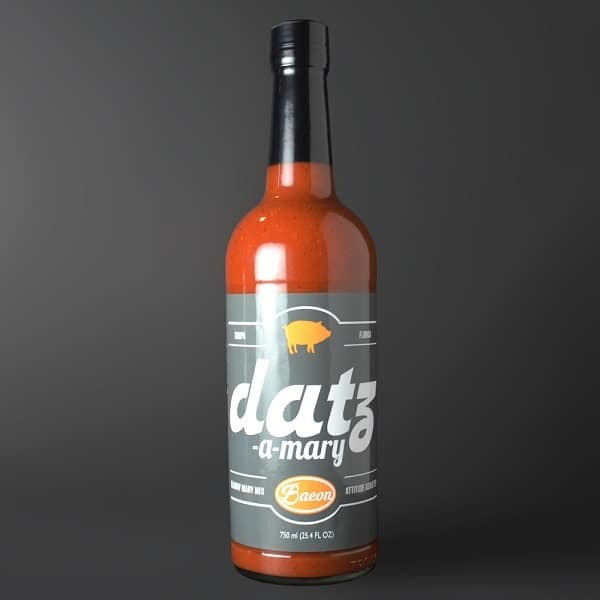 The fine folks at Datz restaurant in Tampa have taken their famous Bloody Mary recipe and made it into a Bacon Bloody Mary mix that you can enjoy at home. This mix is unique for its flavors of smoke and bacon. Another great gift for the cocktail lover! 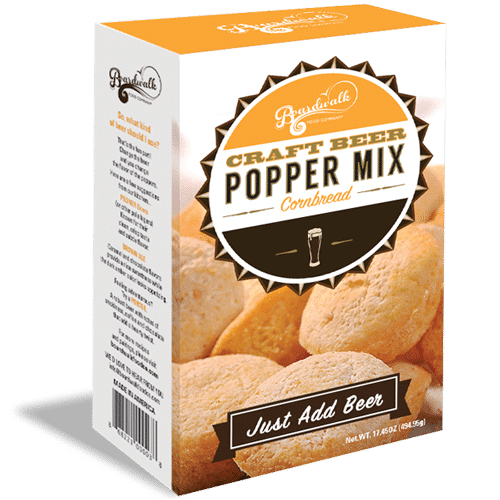 This Craft Beer Popper mix was just plain fun. Open the box, empty the packet into a bowl, stir in one bottle of beer, and presto! You’re ready to pop your poppers into the oven. I especially enjoyed the cornbread variety, because you can eat the poppers and also save some (like I did) to make your own homemade cornbread stuffing. Excellent for fans of the savory and would also make a wonderful host or hostess gift. How does Revolution Sauce make a ketchup “artisan”? Well, besides being free of all the stuff you don’t want in a ketchup, they’re full of good, wholesome ingredients, like fresh herbs and vegetables- some of which are even grown by the owner. 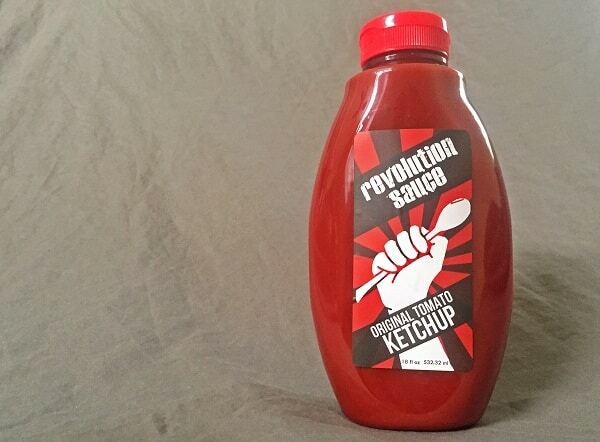 Plus, all Revolution Sauce products are vegan, gluten free, soy free, and corn syrup free. Give a basket of these fresh tasting sauces to a french fry fan, and make their day! I had the good fortune to meet the owner of Sunchowders Emporia at the Food and Wine Conference this year, and was thrilled to be able to include another fellow Central Floridian in this roundup. 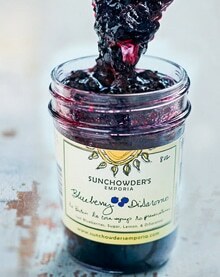 Most wanted on my list of things to try from Sunchowders is her Blackberry Chambord Jam, although the Blueberry DiSaronno would be just fine, too. Restaurant owner Robin King of Three Birds Tavern was also at the Food and Wine Conference, and I got to sample her gourmet salad dressing at lunch on the last day. 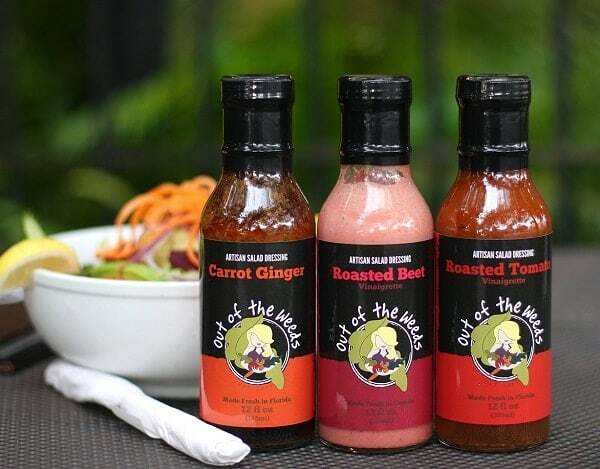 Out of the Weeds salad dressings are available in Roasted Tomato, Roasted Beet, and Carrot Ginger. Try one, or get an assortment! Which Florida food gift would you most like to receive? What a great compilation of gifts from down South. I love the sea salts. I plan to pin to my gifts board. I’ve gotten to sample a couple of sea salts from The Spice Lab, and I’ve liked them all. Big fan of the smoked salt- it’s great on corn on the cob! They were so pretty! Like little pieces of jewelry! What a great list of food gifts! I absolutely love Norman Love and met him at a food show. He was SO SWEET too, made me feel better about buying his expensive chocolates, haha. That’s so neat that you got to meet him! I really enjoyed these chocolates- they were so pretty and so fresh.